Hooray!! I am going to be an Aunt! Since I had my first daughter, I’ve been waiting for my little sister (and best friend) to join me in motherhood and it’s finally here! She is 20 weeks pregnant and due in January and I seriously couldn’t be more thrilled. 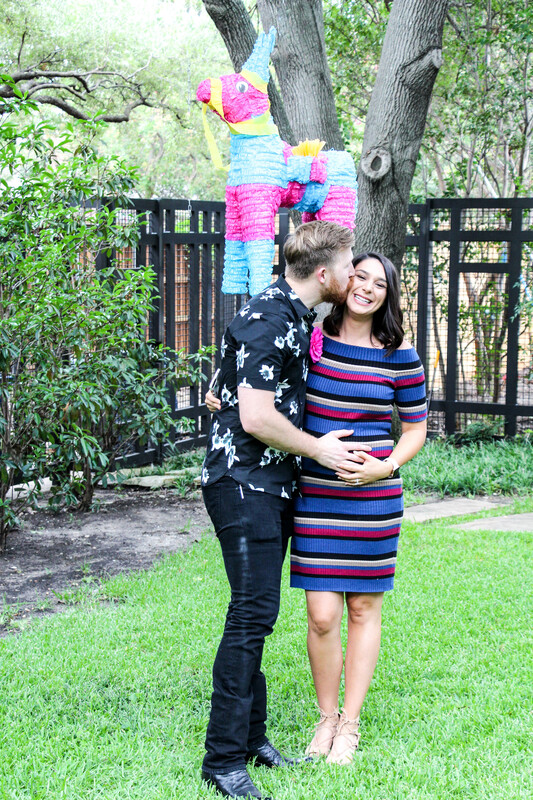 To celebrate her pregnancy and finding out the gender of her new baby, my mom and I hosted a big “Gender Reveal Fiesta” at my house last week, where she and my brother in law, Caleb, found out and revealed the gender. 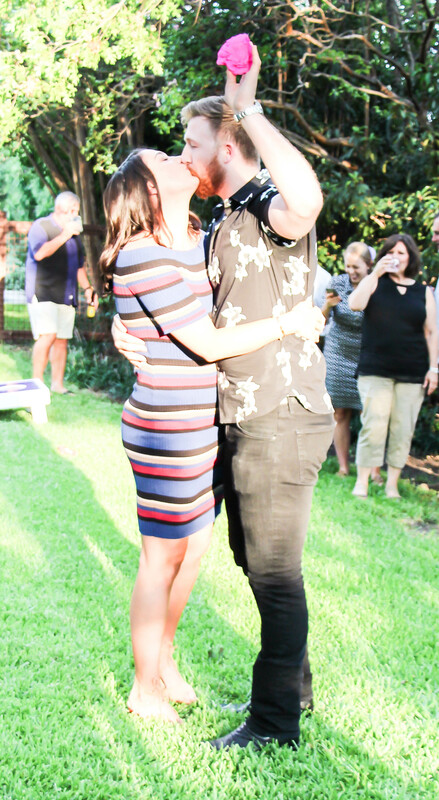 It was a beautiful night with all of our family and friends and so exciting to finally find out if baby is a he or she. 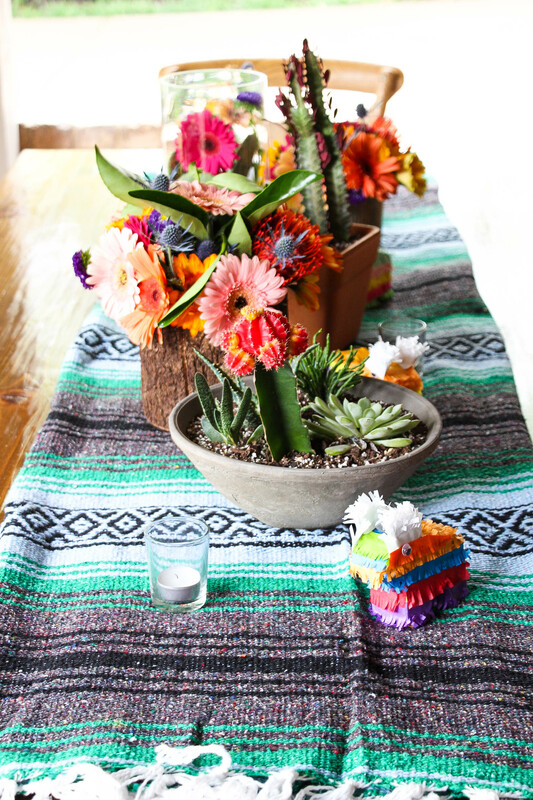 In Texas, one of our favorite/easy party themes is FIESTA themed. 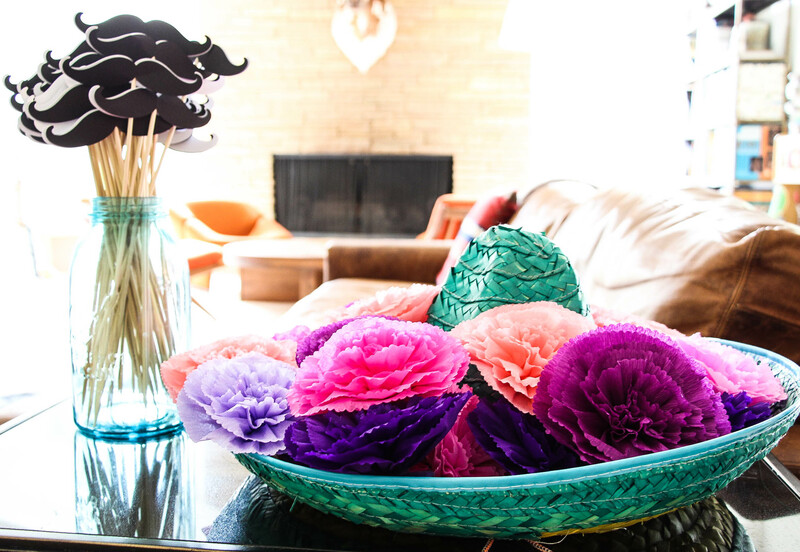 Decor is fun and festive and easy to find. 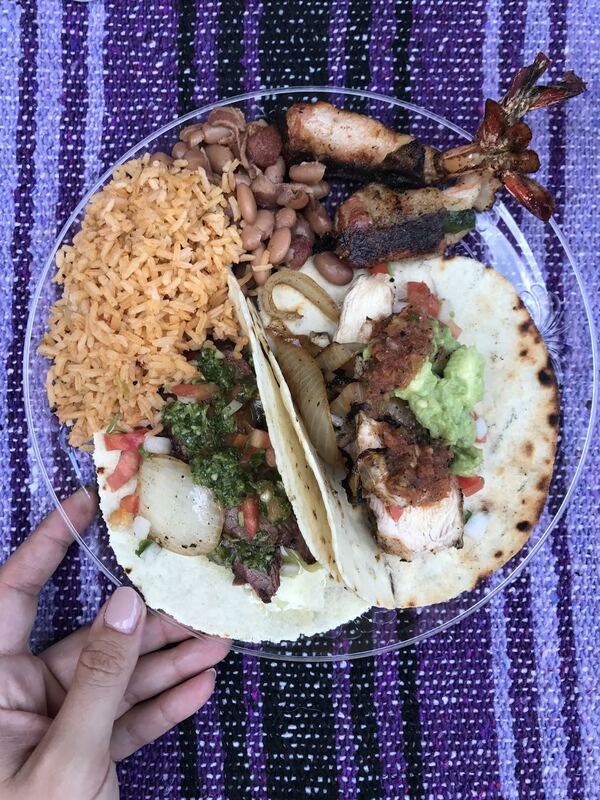 Food is always easy whether you are cooking or catering: fajitas, tacos, enchiladas–it all serves a crowd and is delicious. 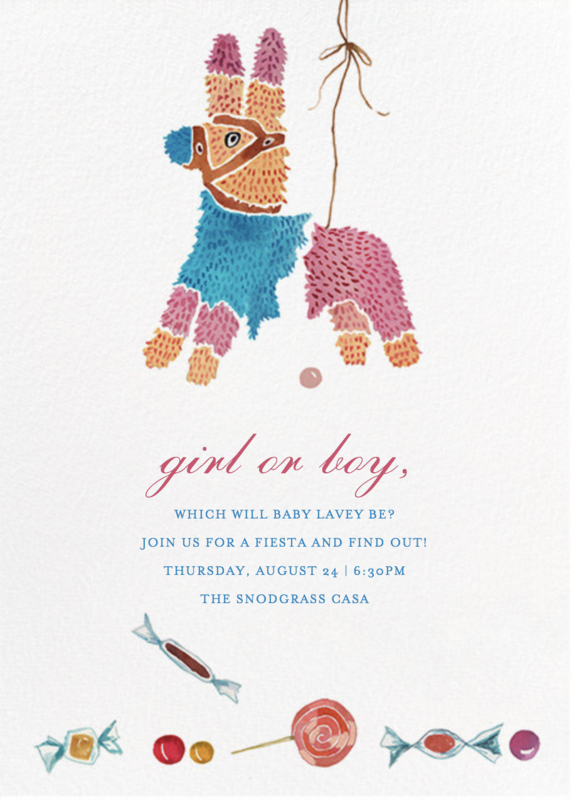 We opted for this theme as we thought it would be so much fun for them to bust open a pinata filled with either pink or blue to reveal the gender! 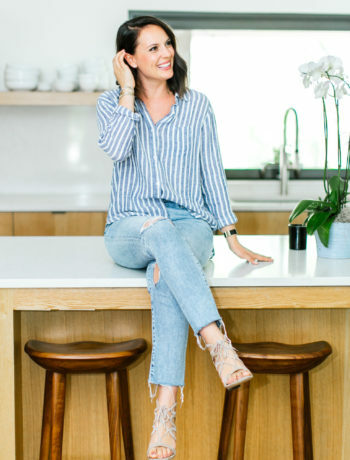 So let’s talk all the details about her big party! First off, I found the perfect invitation via Paperless Post and this set the tone for our big party. I loved the contemporary touch it set for the party. 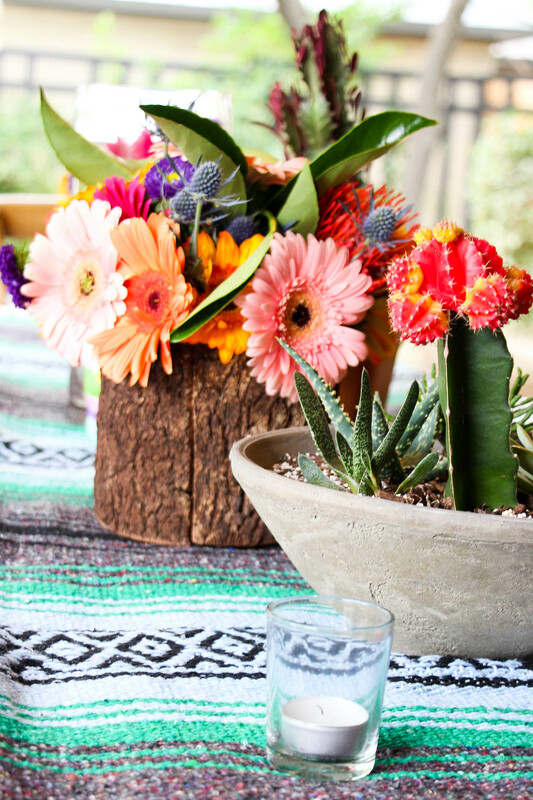 Since we love to have a more modern touch, we thought the tablescapes and floral needed a more modern mexican feel. Think desert Mexican. Here are some images from our tables. 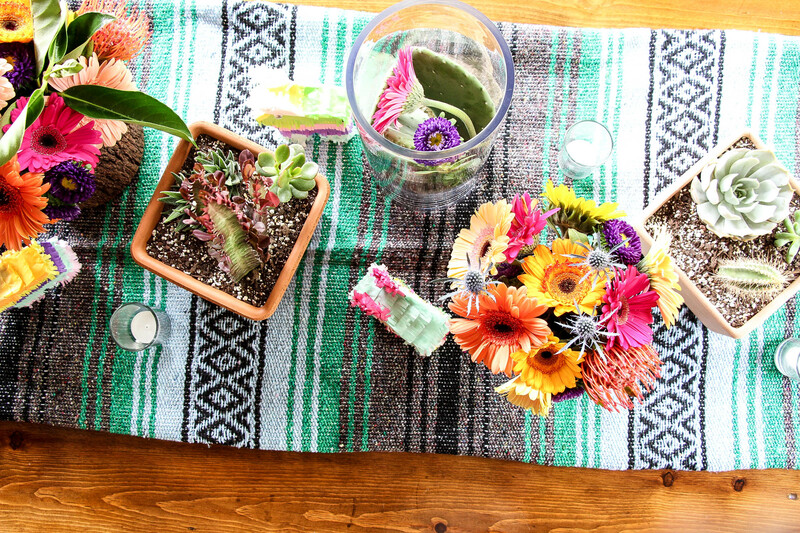 The colorful “falsa blankets” I found on etsy years ago and have slowly collected an assortment of colors over the years. 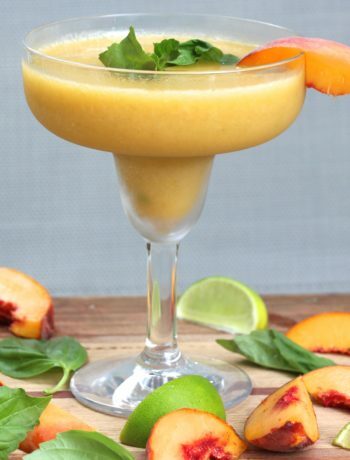 They are great for entertaining in so many ways! Use them as table runners like I did here, or in colder months when we grill in the backyard, I lay them over the chairs so people can use them as actual blankets and sip on cocktails. They are just lovely and add such a festive touch. The farm-style tables and chairs were rented from M&M Event Rentals. 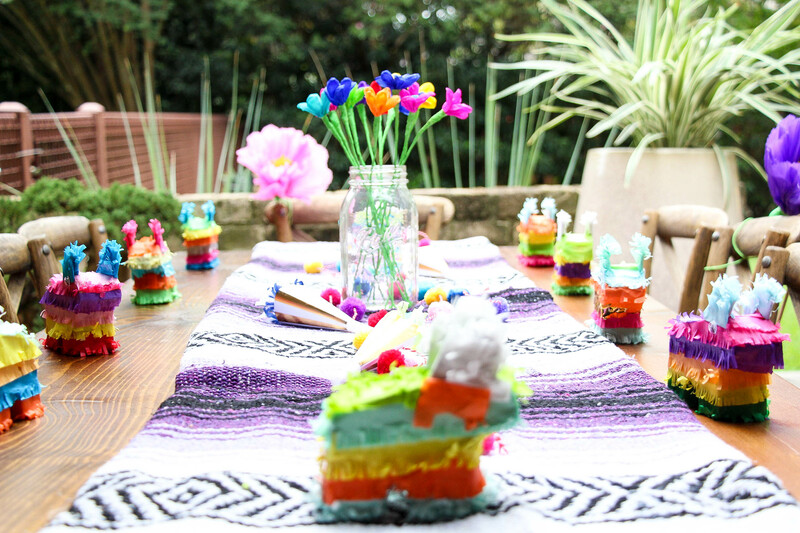 We also rented a mini version of the farm-style table for the kiddos and decorated their with mini pinatas and paper crepe flowers! 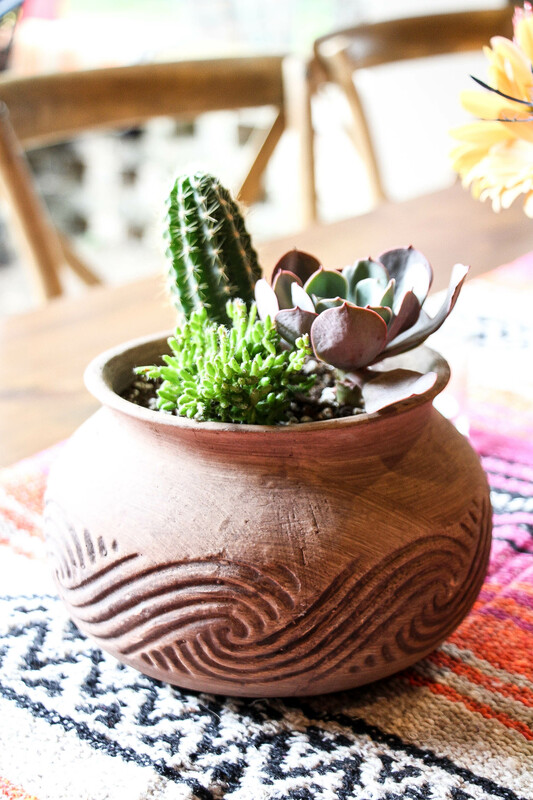 For the plants, we went to Ruibal’s and grabbed a bunch of pots, succulents, and cacti and potted them to add some dessert vibes to the tables. 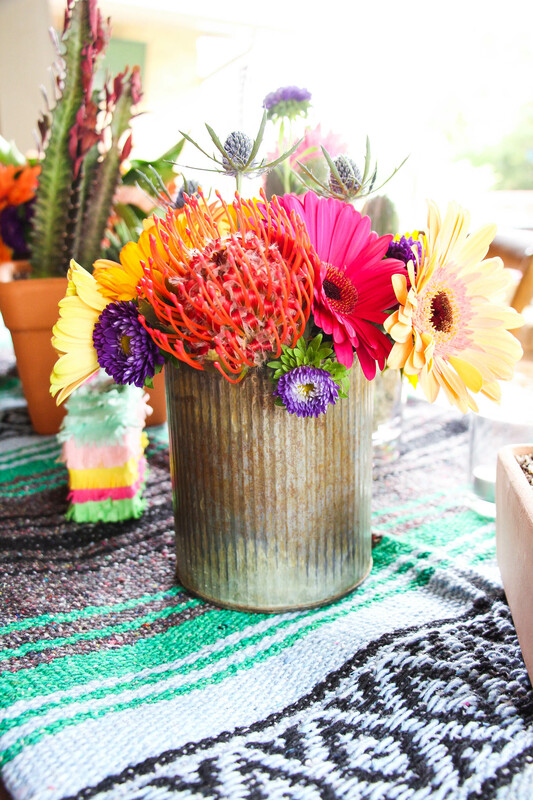 We also did our own flowers and it’s as simple as this: go to the grocery store and grab TONS of different colored flowers. 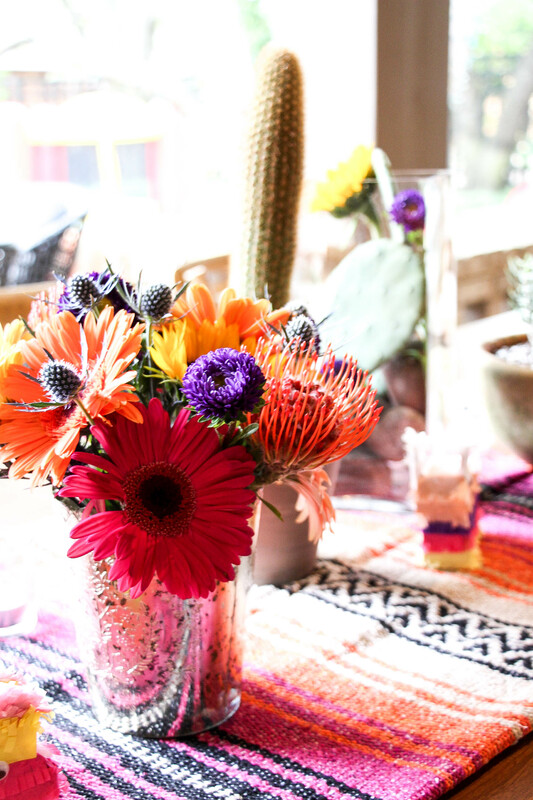 Find vases (we had some laying around our homes) that are not glass and literally fill them to the brim with assorted colored flowers. Don’t overthink it. 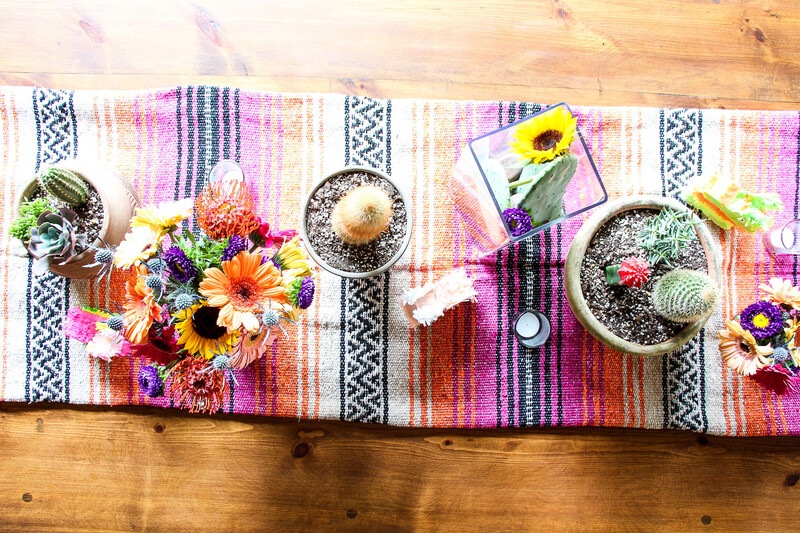 The beautiful assortment of flowers will do all the work! 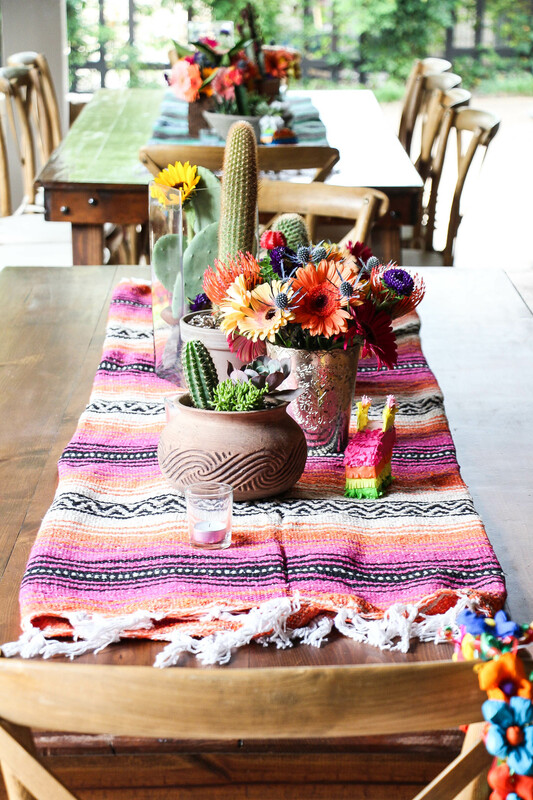 And this amazing pinata on this table? It’s a freaking CAKE. I know, it’s seriously incredible and it was done by our wonderful friend and the extremely talented Fancy Cakes by Lauren. It was almost too pretty to eat but we ate it anyway, and it tasted fantastic!! 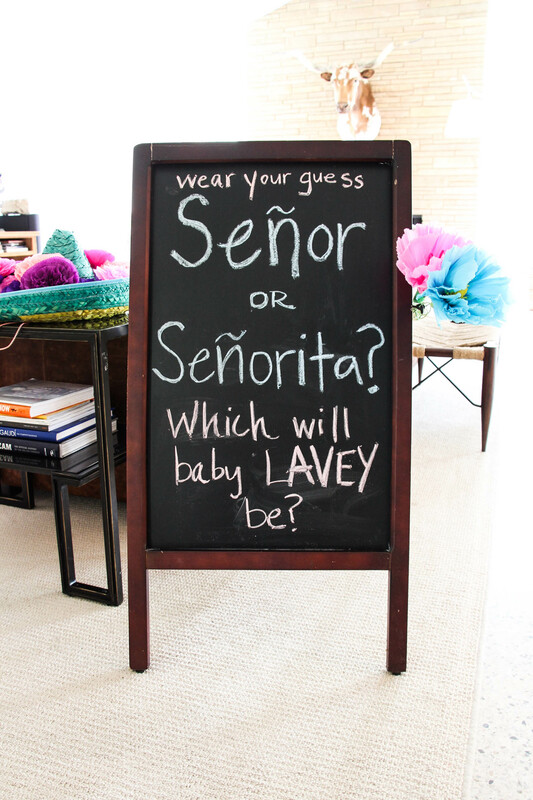 When guests arrived at the fiesta, I had set up a station for everyone to “wear their guess” of what they thought the gender might be. This is such a fun, interactive way for everyone to get involved in the big reveal and it makes for a fun little game. To go along with the theme, for those that guessed “senorita” I had beautiful, handmade crepe paper Mexican flower hair clips. For those who guessed “senor” I had little bigote’s (or mustaches) on sticks. As far as food went, we opted to have the party catered since it was for a crowd of 60 people. We had Papasitos cater fajitas (and it was delicious)! 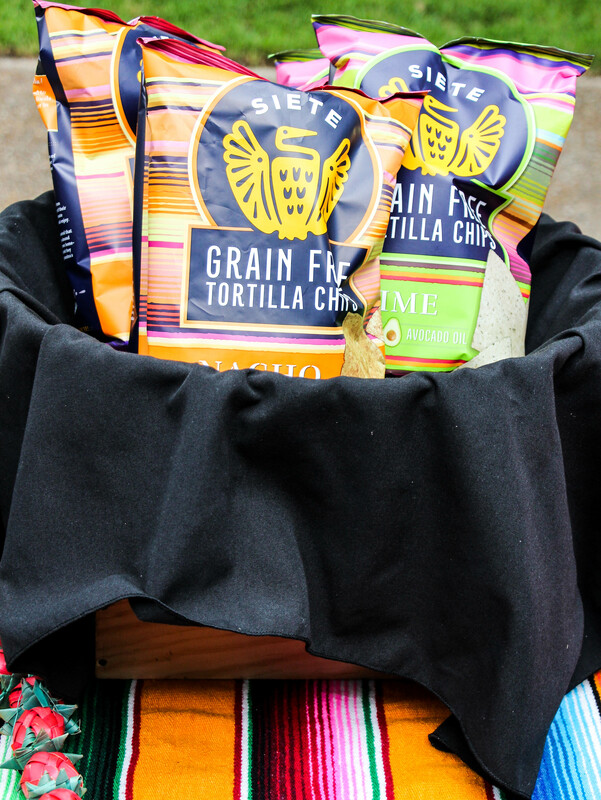 My family is mostly gluten-free and paleo at this point in our lives so I reached out to my good friends at Siete Foods and they oh-so kindly sent us plenty of grain-free chips and tortillas to make our event gluten-free friendly! What a treat that was for us. Thank you, Siete!!! 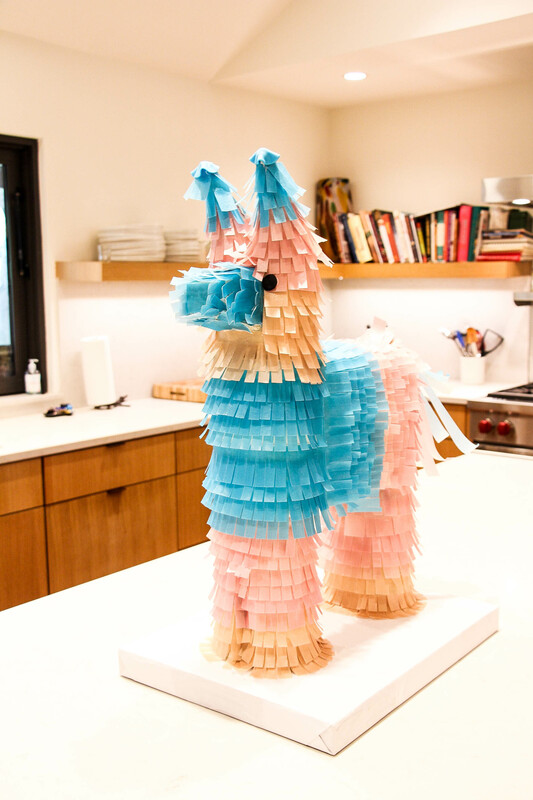 For the piñata, I sent an image of our invitation to the sweet woman of Dallas Piñata Factory, and for $40 she put together this adorable piñata to try and match the invites! My sister had her doctor write the gender of the baby on an envelope, which she took to my Aunt who stuffed the piñata with the color of the Gender. 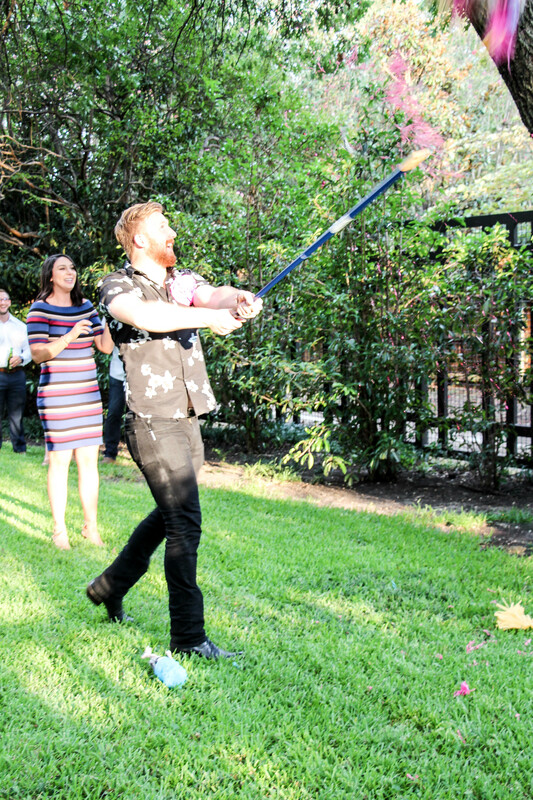 My Aunt was the only person at the party who knew the gender, so it made for the breaking of the piñata to be extra exciting! It’s a GIRL!! I can’t believe it, everyone thought for sure it would be a boy but as a girl mom, I couldn’t be more thrilled that the first cousin is a girl. I am already day dreaming about my sister and I, with our teenage girls, taking big girls trips and shopping in NYC! ah! Congratulations, Madison and Caleb! You two are going to be fantastic parents and I cannot wait to meet my new niece! Congrats to your family!!!! How special foryou and your sis to have girls! And the party is on point Alex! 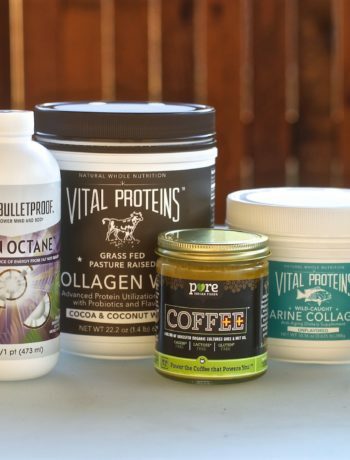 Blessings all around-woohoo! Cheers!